La ubicación del hotel era muy buena ya que estaba cerca del centro, podías llegar caminando al teatro Juárez. Además de que en "Plaza Embajadoras" se pone un mercado en el cual puedes comer o desayunar. Me gusto la ubicacion, esta en el centro pero lejos del bullicio, te permite descansar bien! 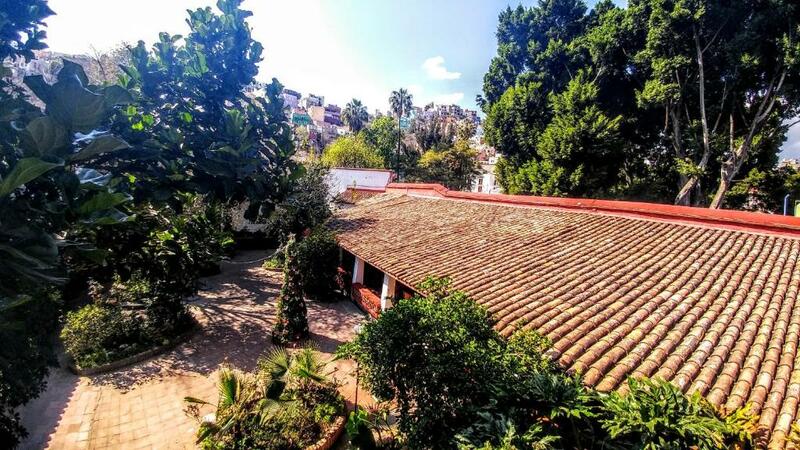 Hotel Embajadoras This rating is a reflection of how the property compares to the industry standard when it comes to price, facilities and services available. It's based on a self-evaluation by the property. Use this rating to help choose your stay! 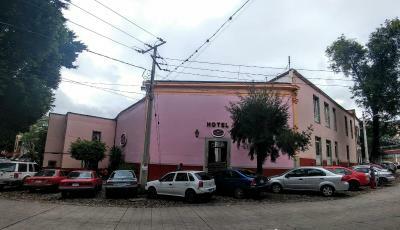 Located next to Embajadoras Park, this hotel offers bright rooms with TV, set around a charming garden courtyard. 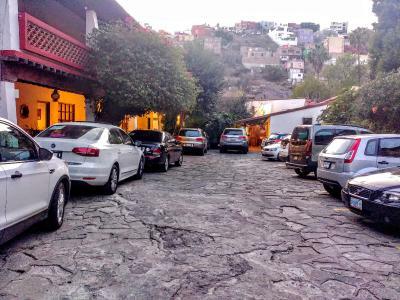 The famous Guanajuato Mummy Museum is just 1,650 feet away. Rooms at Hotel Embajadoras have views of the courtyard’s plants, flowers and fountain. Each room has a work desk, and some have carpeted floors. The private bathroom comes with basic toiletries. Fresh Mexican cuisine is served in the Embajadoras’ restaurant, which has an outdoor terrace. You can also order from the room service menu. Free private parking and 24-hour front desk are available on site. 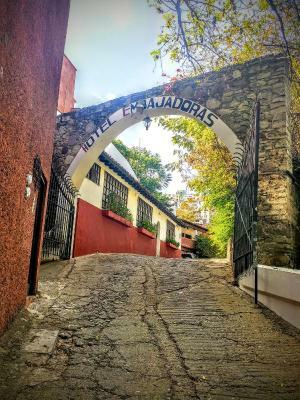 When would you like to stay at Hotel Embajadoras? This simple room includes free Wi-Fi, a TV and a work desk. The private bathroom comes with a shower and basic toiletries. House Rules Hotel Embajadoras takes special requests – add in the next step! Hotel Embajadoras accepts these cards and reserves the right to temporarily hold an amount prior to arrival. Please note that the restaurant is closed on holidays.